Great for small projects. It's 2.2" x 3.4" (5.5 cm x 8.5 cm) with a standard double-strip in the middle and two power rails on both sides. You can pull the power rails off easily too! 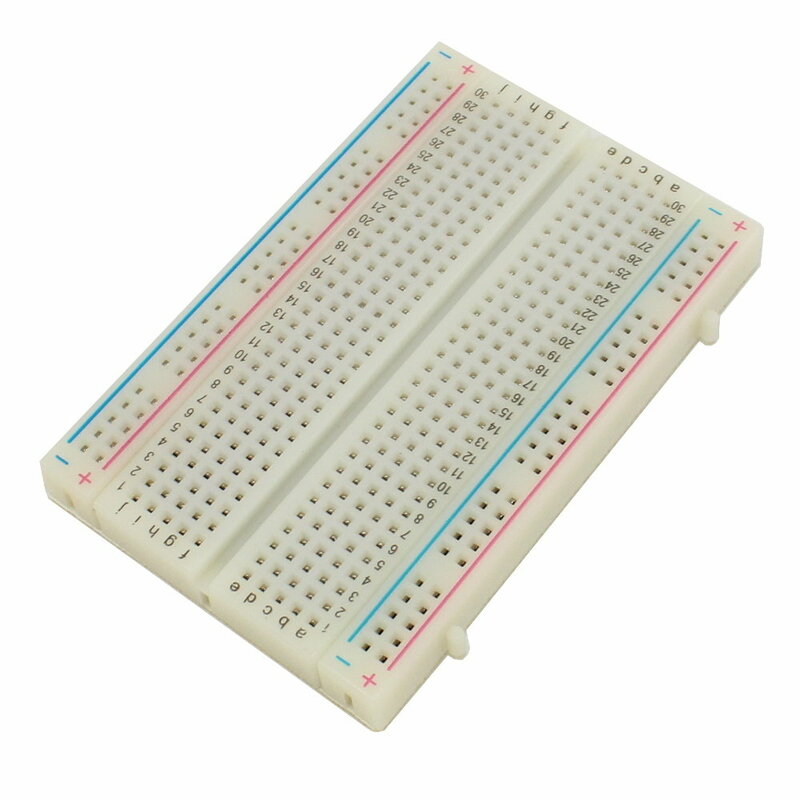 Makes it about 1.4" (3.5cm) wide.Cut them in half with a saw to create 2 tiny breadboards, or connect these breadboards together to make longer and/or wider breadboards.